Outsourcing has become the new normal. It is simply the process of hiring an outside contractor to perform a particular task that would be otherwise be done by your in-house personnel. In-house employees require huge capital in terms of insurance and salary as well as a lot of time. 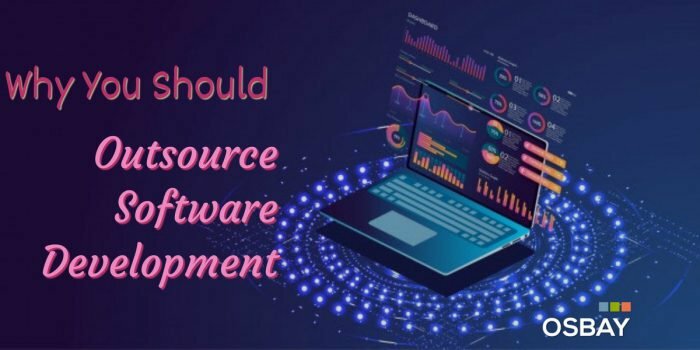 Companies looking to outsource software development often question whether the project deadline, budget, and quality are at risk. 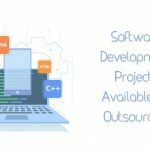 While it is important for you to consider the risks, outsourcing software development projects come with many benefits. 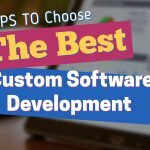 Here is an exclusive look at why you should outsource software development. One of the main benefits of why you need to outsource software development is to get to focus on your business strengths. You don’t want to waste your time on issues of technology and software development that are not your core business. For a successful company, you need to know what you are good at and focus your energy and efforts accordingly. 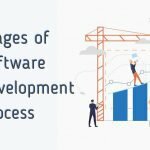 Outsource software development aligns you with a company whose investments, growth strategies and processes are focused on developing high-value software. Your in-house employees will not be overwhelmed with jobs that do not fit their skills. According to study statistics on cost evaluation, expenses on in-house employees are higher than outsource software development cost. For you to establish an in-house programming staff in your company, you will have to include charges such as computer hardware and software employee’s benefits and taxes, supervisory time and office workspace. It is hence more accessible to outsource software development rather than hiring your employees in terms of cost. Expertise also referred to as intellectual capital is a reason why businesses search for third-party partnership. Outsourcing provides you with professionals with higher expertise than that of your employees or what you can access through the traditional hiring method. Depending on your specific needs, you will select the programming teams that are fully compatible. More ever, most of the outsourced software development companies have an eventuality plan for replacement if the need arises. Company security is vital and should be handled with great care. If your in-house employees are not IT specialists, there is a high chance that your software security may be compromised. This may result in risking your company’s sensitive information in case of security flaws. Outsourcing software development provides skilled IT expertise that secures your software applications to the best. Your company will have better coverage against security breaches due to the enhanced accuracy. In this aggressive digital marketing, flexibility and speed is the key to success. Hiring a software development team who are professionals in gives you speed and agility that is essential. They will make software outsourcing projects available and ready for your customers ahead of the challenges experienced by your brand. The revenue and growth of most companies are hindered by overwhelming commitments to the few programming staff available. Outsourcing quickly provides you with a team of qualified programmers who will efficiently manage your projects. As the demand fluctuates, you can reassemble or resize the team size. More so, you will be able to dedicate more money and efforts for business and marketing development. With the current and every day changing technological advances, you need to keep up with the; latest developments and discoveries. 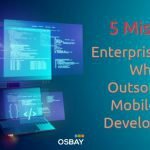 Outsource software development helps you to meet innovative technology expertise that has a diverse and robust perspective to enable your business to keep up with the growing economy. A software company has been successful in applications development and has high-quality project management gives you a chance to mitigate your business risks. Working with a robust software company opens doors of new opportunities. It gives you a chance to access new domain knowledge to expand your business to a new market. Innovative software Development Company’s partners with other many companies and you may never know the opportunity you are missing. It all starts with outsourcing for an critical app. In conclusion, there are many proven benefits of outsourcing software development to business and companies. It gives you maximum flexibility and helps you to focus on getting a competitive advantage without losing efficiency and focus. Osbay is one of the best company for custom software development. Visit them today for fast, quality and global software development at a low cost. Their skilled team will enable you to accomplish your next software project.